IDP Pty Ltd has been appointed Australian distributor for Enidine shock absorption, vibration and isolation products. The US-based Enidine range includes industrial shock absorbers, rate controls, air springs, wire rope isolators and custom solutions. IDP managing director Sean Hart said being awarded a respected product such as Enidine was a real coup for IDP. “We pride ourselves in supplying world's best products to the Australian end user and OEM. 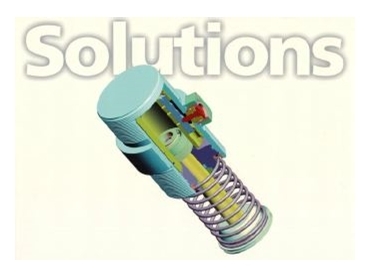 “Enidine's capability with high quality, off the shelf products, entwined with the ability to provide custom solutions for shock absorption and vibration isolation, provides us with the ability to provide a solution to the most complex of problems,” he said. "The Enidine brand complements our existing products and we are delighted to be associated with the range."